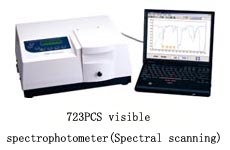 723 series is single beam spectrophotometer that analyzes specimen materials in the visible spectral range. 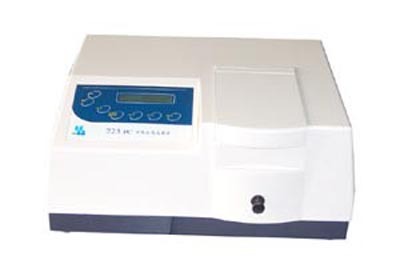 Its high precision and reliable performance made it ideal for applications in medicine, petrochemistry, agriculture, food industry, biochemistry, environmental protection and many other fields. 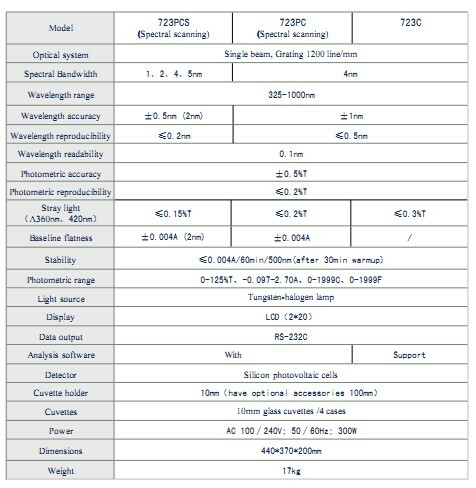 ※ *Easy creating and storing programme and scans: With the bundled software this product is capable of charting and storing the scan results.